This is a story of destined fortuity. 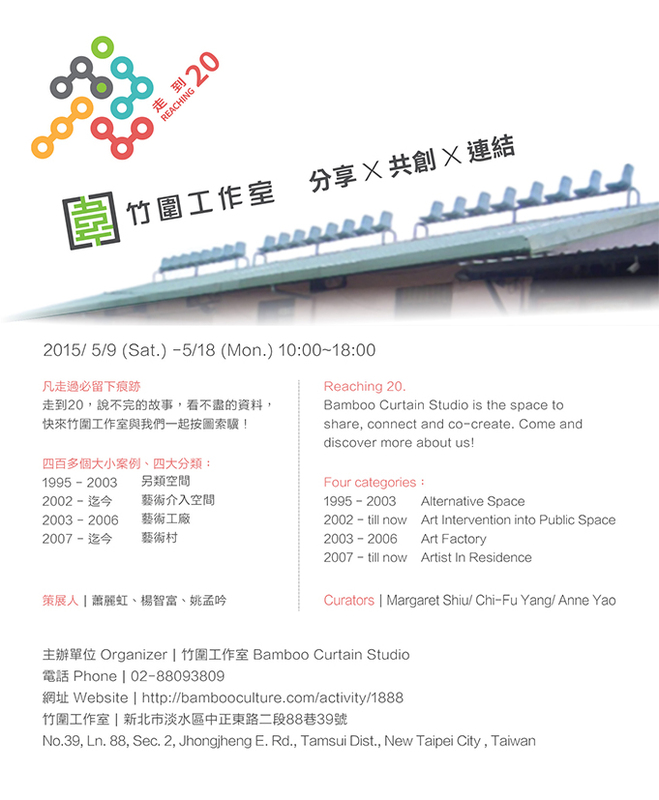 Three artists Margaret Shiu（蕭麗虹）, CHEN Cheng Hsun（陳正勳）, and FAN CHIANG Ming Tao（范姜明道） in need of space teamed with a dilapidated chicken coop to launch the unfaltering undertaking that is Bamboo Curtain Studio (BCS). BCS founder Margaret Shiu once said, “We should offer space and services for the creative minds and also invite folks from all over the world to connect with Taiwan.” To reach this objective, BCS has developed a variety of physical and intellectual projects in the past 20 years, working through trial and error in times of rapid change. As a result, a national and international network bridging art and non-art related communities was established and has been growing stronger and stronger ever since. Together, allies from different disciplines strive for building a better environment and lifestyle for all. We have revisited the projects that BCS has undertaken in the past 20 years, and sorted them out into 4 categories to help the public understand our work: 1) 另類空間 alternative space, 2) 藝術介入空間 art intervention, 3) 藝術工廠 art factory, and 4) 藝術村 artist residency. Each of these 4 categories may exist as an independent theme, but is at the same time inseparable from one another. The themes intersect conceptually and overlap on a timeline, all involving extensive research as well as hands-on practice. They are attempts to create opportunities in fields that are often overlooked in the Taiwanese art world- they are real and they are timely. Alternative Space（另類空間） highlights the most memorable time in BCS’s history. As another option to the mainstream exhibition spaces that frequently imposed a variety of restrictions onto artists, BCS opened up a rennovated chicken coop warehouse space for the creatives to fully explore and exploit. As opposed to the no-can-do “high temples of art” such as galleries and museums at the time, we let artists set things on fire ("Very Flow" VT Art Salon 非常廟《非常流》), flood the entire space ("Flood Prevention" WANG Wen Chih 王文志《防洪計畫》, "Heart"TSAI Shu Hui 蔡淑惠《心》, "Cloning Taiwan" CHEN Kai Huang 陳愷璜《複製島》), drill holes ("Floating" LU Pei Lin 陸培麟《漂浮》), create hanging devices ("Document VI" WU Yi Chien 巫義堅《文件VI》, "A House on the Bamboo Cloud" WANG Wen Chih 王文志《藤雲架屋》), and even have mold and ants take over their works ("Good Woman" CHANG Hsing Yu 張杏玉《良人》, "Mobile Warehouse" TANG Huang-Chen 湯皇珍《游移倉庫》). This unique type of space also posed certain challenges to the artists. In the 1998 group show "Come From Your Hometown"（君自故鄉來）, LIN Ming Hong (Michael Lin, 林明弘) scaled up his piece and created something experimental that earned national attention; WANG Te Yu（王德瑜） installed a row of chairs on the warehouse rooftop and invited the audience to experience the in-between views of a city bordering nature; WU Yi Chien’s "Document VI" （巫義堅《文件VI》）presented a boat suspended midair on strands of fishing line above a sea of salt, ultimately suggesting an inseparable relationship between the seemingly self-sustaining exhibition space and its surrounding environment in situ. Art for social change is the core value of art intervention. In hopes of bringing forth actual societal change, projects and actions have been initiated to take art out of the box and into the environment. Art intervention is the ideal that BCS holds dear and continues to strive for. Artist Perspective（藝術生態面）: BCS helped conceive the two NGOs, Association of Culture Environment Reform Taiwan（藝術文化環境改造協會） and Association of Visual Arts（視覺藝術聯盟） in Taiwan, in 1998 to facilitate the establishment of Hua Shan Art District（華山藝文特區） in Taipei. The NGO trio worked as a team to unite the art and cultural communities in Taiwan. It monitored the cultural policy makers, and moreover served as a coalition to lobby for artists’ rights. Connecting with like-minded communities abroad as well as exchanging resources internationally, and had brought in practical references and support during this time. BCS conducted a holistic research on residency sites (1998), reutilization of vacant spaces (2001), and related cultural policies worldwide. Small think tanks formed from our consistent advocacy for multi-faceted programming and cross-cultural collaboration. In addition to providing physical spaces, we also launched educational programs to teach “the things that are not taught in schools.” Young artists and curators were able to learn and experiment through these projects. After the passing of the Law for the Development of the Cultural and Creative Industries bill（文創法） in 2010, BCS obtained the Council for Culture Affairs (renamed as Ministry of Culture) Grant for Creativity and Innovation funding（創新育成補助） as a non-educational institution and provided one-of-a-kind support for young creatives. YU Hao Wei (余浩瑋 How Yu) from Teenager Performing Arts League（青少年表演藝術聯盟） was among the exceptional young artists that we supported through the fund. As a demonstration to underline the value of creative people in the progression of our society, BCS has been an active participant to international conferences focusing on topics such as creative city and cultural diversity. We even joined forces with creative city expert Charles Landry, Taipei County Government (2008), and Taipei City Government (2012-2014) to strategize on making our cities more art and cultural friendly. Ecological Perspective（環境面）: Located in between mountains, waters, cities, and nature, it is intuitive for BCS to incorporate environmental concerns into our programming. The "Crossover of the City and the River -- Chu Wei Environmental Art Festival"（城市與河流的交會-竹圍環境藝術節） organized by French curator Catherine Grout in 2002 had been an example of art intervention. The Festival emphasized the importance of art as a medium to rekindle people’s senses and to experience the surrounding environment in a new light. This outlook provides a useful perspective to include the public in conversations about our environment and to reconsider the relationship between art and society. Since then, BCS has partnered with experts in disciplines such as architecture, environmental protection, and education, and worked on projects that exceed the boundaries of galleries and museums. Among these projects are "The RIVER" (「河流」計畫, 1997, 2009), "Arts Education Program: Art Corridor in the Mountain and the Water" (「山水之間的藝術遊廊」 藝教於樂專案, 2007,2013), and Art as Environment: A Cultural Action at the Plum Tree Creek (2011-14), which is a culmination of our efforts in environmentally engaged practices and was awarded the annual Taishin Arts Award（台新藝術獎） in 2012. These projects connect art with everyday lives, and can ultimately affect governmental policies on education, water resources, and environmental protection. With the collective support from art and culture communities everywhere, Hua Shan Art District had become an effective headquarter for exhibitions, performances, and interdisciplinary collaborations in Northern Taiwan by 2003. BCS was no longer the single most unique alternative space in the area. There existed still a high need for studio spaces, however, and that was why BCS decided to turn the old exhibition space into 2 live-work studios. During this time, the first and second chicken coop warehouses in BCS became artists’ private base. They were sites to experiment and co-create. Artists YEH Yi Li（葉怡利）, HUNG Tung Lu（洪東祿）, and Cheng Shih-Chun（紅毛） were just a few of those who had tried out new materials here and later on exhibited their findings elsewhere in the city. In 2006, a property dispute that had long troubled BCS finally came to a halt, and Sun Son Theater（身聲演繹社，現「身聲劇場」） was invited to take over the newly available third and forth warehouse spaces. BCS thus began to take on the role as an interdisciplinary hub for experimentation and eventually obtained its present-day form. The conception of artist residency（藝術村） can be traced back to 1998, in which a research project for Council for Culture Affairs (renamed as Ministry of Culture) was initiated. The project focused on studying residency sites in other parts of the world. It not only introduced the idea of an artist residency to the public, but also allowed BCS to locate a new repertoire for our future practice. In 2007, BCS reopened our doors to the public after 4 years of no public programs. The living facilities and multi-functional spaces such as 12 Bamboo and the Coop that were developed during the art factory became hardware that provided foundation work for the international connections that we had fostered in the past years. BCS was finally able to put our research on artist residencies into full practice and set our direction towards becoming an excellent “international artist residency site.” With much anticipation and enthusiasm, we hoped to become a key art center that would engage in local action and global connection. Artist Residency（藝術進駐）: A BCS artist residency comprises of not only open-call or by-invitation visiting artists who become part of the BCS community, but also there were production projects that the artists choose to engage in during their time here. The majority of our resident artists work on projects that are connected with the society, coinciding with our belief that art can exceed boundaries and disciplines. For example, Korean American artist LEE Chang Jin（李昌珍） focused her work on issues surrounding Comfort Women (2008); American ceramicist Susan Crowell collaborated with Koo Foundation（和信醫院） Sun Yat-Sen Cancer Center to interpret the sense of “pain” through ceramic sculptures (2010); Singaporean artist Alecia Neo partnered with the visually-impaired through the connection of Eden Social Welfare Foundation（伊甸基金會） to produce collaborative photography pieces (2012); Japanese artist Masanori Fujiki（藤木正則） visited indigenous villages in Taiwan to conduct in-depth research (2013); and Taiwanese artist YEH Pei Ju（葉佩如） created one-of-a-kind murals through scratching images of the Zhuwei and Tamsui areas onto concrete walls. During each residency period, BCS pair resident artists with a variety of local organizations and professionals that would enhance the complexity of the artists’ works. Multi-function Use（複合式空間）: Ever since BCS reopened to the public in 2007, exhibitions, theatre/dance performances, rehearsals, workshops, and other happenings began to take place inside its unique spaces. Spaces such as My Cup (a kitchen/dining area) and Jam Garden (a grassy courtyard with a big wax apple tree) offer casual settings for all to take a break and interact with each other amidst activities. Poet WU Yu Hsiuan（吳俞萱） organized a series of Movie and Poem Reading Club meetings（電影讀詩會） and attracted the young and the aspired to come and dialogue. Jam Garden even hosted the Northern Taiwan concert for "Smoke Signals movement"(an action for aboriginal awareness，狼煙預備起公民行動) initiated by the aboriginal singer-song-writer Panai Kusui（巴奈．庫穗）. After so many years, BCS remains an energetic and creative base for new perspectives. International Culture Exchange（國際交流）: Margaret Shiu, founder of BCS and a “semi-foreigner” from Hong Kong, is the main driving force for BCS’s global connections. A solid worldwide network formed from the curation of international exhibitions (i.e. The Earth: Six Ceramic Artists Exhibit《土的詮釋》陶藝六人展, 1996, The River: New Asian Art in Taipei《河流- 新亞洲藝術 ‧ 台北對話》, 1997) and the extensive research on artist residencies as well as the reuse of vacant spaces across nations. Shiu was honored the position of the board member at Res Artis and the board member at INCD International Network for Cultural Diversity, and TransCulture Exchange. To this day, BCS continues to facilitate the exchange of resources and information nationally and internationally. Tight B-to-B relations are strengthened via symposiums, workshops, and other joined programs. BCS is the initiator for Intra Asia Network（亞洲藝動網絡）. We connect different art organizations in Asia, and are the spokesperson for art and culture related issues in the area. BCS is open to sharing our experiences and contacts with anyone who is interested, and also encourages different artist residency sites in Taiwan to join international networks such as Alliance of Artists Communities, Res Artis, and Trans Cultural Exchange. 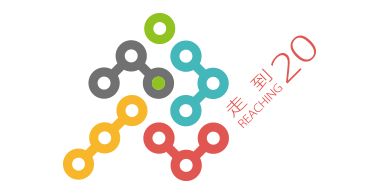 We not only led groups of representatives to visit the global exchange conferences, but also contributed to the Ministry of Culture’s Arts Residency Network Taiwan（藝術進駐網）, a Mandarin-English web database launched in 2013. These efforts all helped Taiwanese artists and residency programs gain more exposure internationally. Looking back at BCS’s transformation in the past 20 years, it is not difficult to notice the pioneering spirit within our practice. We provide alternative spaces for artists to experiment and showcase their works, and also act as a cultural and environmental incubator for creative talents nationally and internationally. Through sharing resources and information, BCS has established close connections with the Taiwanese society and the art world. We have been sharing our passion and influence through countless interdisciplinary dialogues. These conversations make the collaboration between arts and culture, environmental preservation, and urban development possible to further create a better future for all. BCS has been reacting to the needs of our time with spirits of experimentation and risk-taking enthusiasm. We have encouraged artists to put their wildest imaginations into reality through making, showing, conducting workshops, and many other forms of expression, and moreover pioneered as a trendsetter to expand the boundaries of art and living. We see the BCS now as platform more open than ever before. We invite our friends, old and new, to work together for another 10 years to come: to share, to connect, to act, and to put into practice our ideal of art with no boundaries.